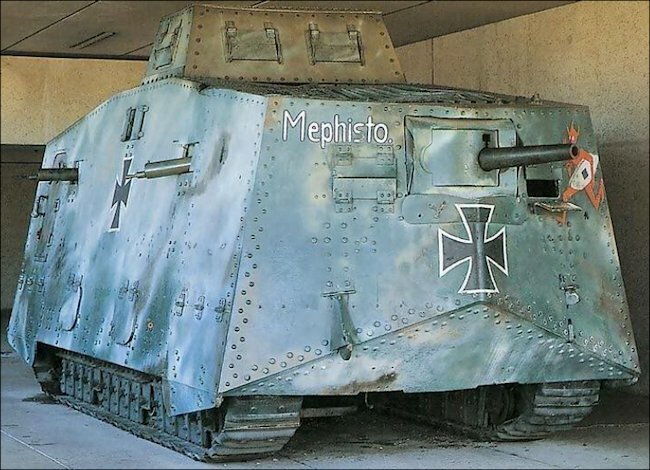 Mephisto is the only surviving WW1 German Sturmpanzerwagen A7V tank out of the 20 that were built. It is on display in the Anzac Hall at the Australian War Memorial in Canberra, Australia before going back to its perminante home in Brisbane's Queensland Museum. 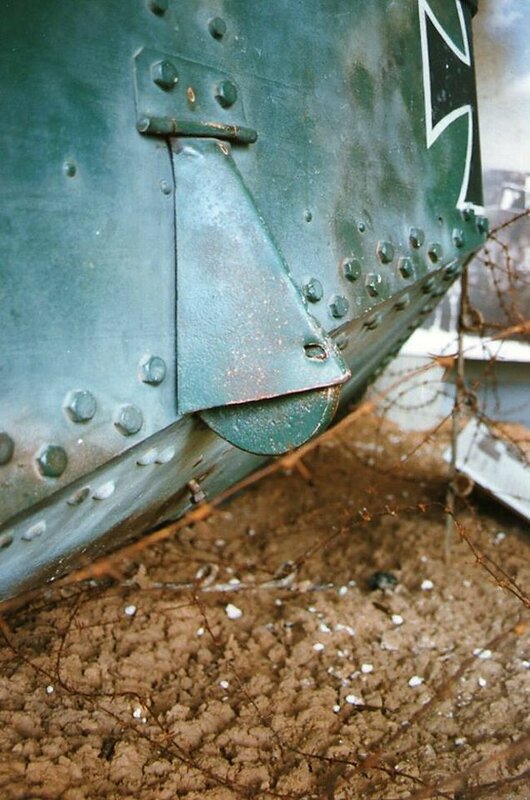 The A7V chassis were all numbered in the 500 range. The prototype possibly had no number or was number 500. It appears that the first ten chassis ordered were to be tanks the other ninety being unarmoured carriers. They were made by Krupps and at Röchling. Many were intended to be female tanks; armed only with machine guns. This decision was changed and those female tanks had guns fitted. 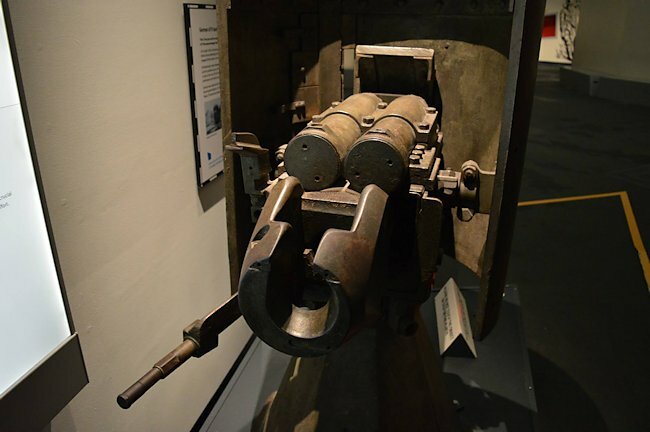 On March 21st, 1918, Abteilung 1 (Battalion One) fought at St Quentin but was plagued with mechanical trouble and the gun mounts were found to be less than ideal. The crew liked the direct sighting but not the large hole necessary to use the system. Tanks 501, 502 and 506 were returned to Charleroi for repair and 505 and 507 were handed over to the new Abteilung 3 for crew training and familiarity. However, 502 was beyond repair and the body was transferred to the only thing available, the original carrier 503. 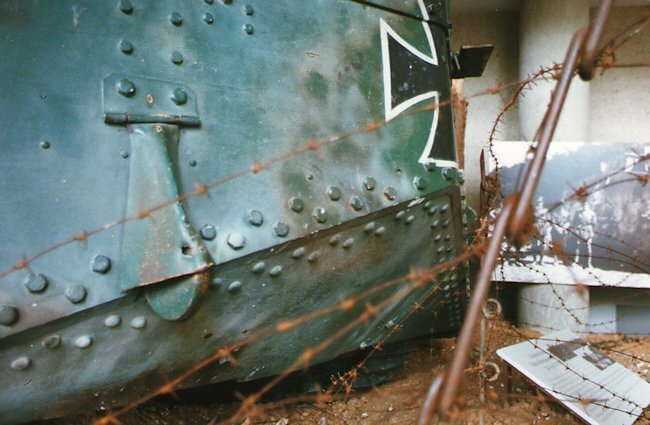 On the approach, A7V Tank 560 was disabled and Bergemann wounded. Bartens and Skopnik were fatally wounded in the command post by an artillery direct hit before the attack. 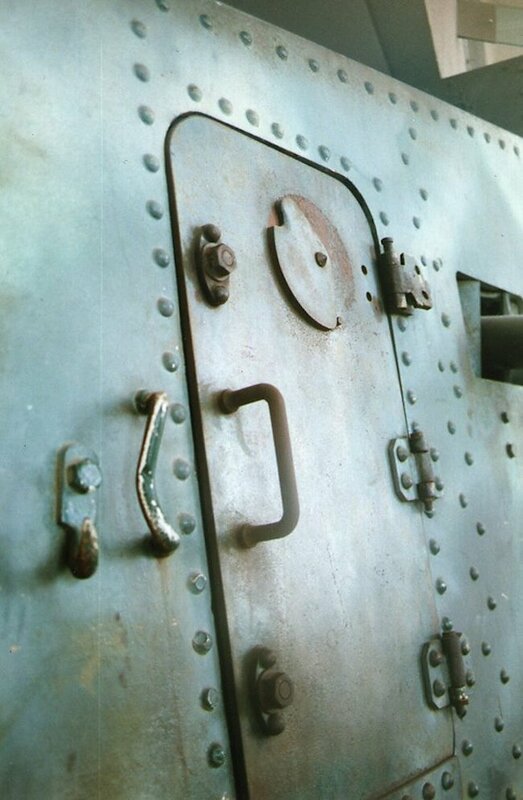 Thus the attack was made by Volckheim in Tank 562 with Philipp in Tank 541. Although Tank 560 was quickly repaired, 562 was damaged in a large hole and was returned to Charleroi. Abteilung 3 lost no tanks. Due to mechanical failure, 543 and 540 were not present at the battle. The losses at Villers-Bretonneux were 506, 542 and 561 though the latter was taken to Charleroi and cannibalised. Abteilung 4 was not used at Villers-Bretonneux, but may have had 503 and some carriers at Charleroi. Abteilung 4 did not receive any more tanks as they were needed to replace the losses. It was gradually reduced to nothing as it was called on to supply more and more replacements. Abteilung 2 received 528 Hagen (the second), 563 Wotan and later 529 Nixe Il, 543 having gone back to Charleroi to be mended. Abteilung 3 received 564 and 503, while 501 (the only female tank) went to Charleroi to get its gun. On May 25th 1918, it was ordered that names of Royal personages were not to be used and Alter Frit: became Fritz. Probably at the same time, 543, which had been renamed König Wilhelm, became Adalbert. The battle of Reims (Goertz Nord) on May 31st, 1918 involved Abteilung 2 and here 529 Nixe II was lost, Blitz escaping unharmed. Immediately afterwards, in the attack on fort de la Pompelle (Goertz Ost) on June 1st, 1918, Abteilung I lost 527 Lotti, while, afterwards, 526 Fritz was returned to Charleroi badly worn. In fact, 526 never appeared again and must have been used for spares like 561. 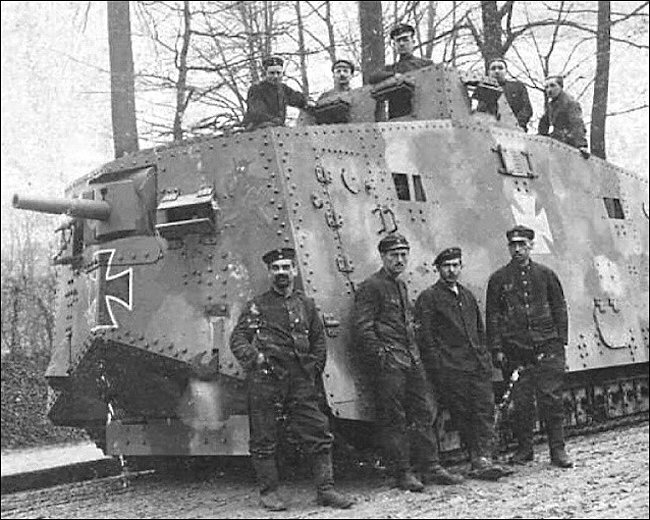 WW1 German Mephisto A7V tank crew in 1918. Look it has the same devil art work. 1. The Assault Tank Detachments are placed under direct command of The Supreme Army Command and are allocated to the armies for combat action. The detachments are part of the motor transport branch and during assignment to an army disciplinary and technically are placed under the responsible commanders of the motor transport branch. c. repulsing enemy counter attacks. Appearing unexpectedly at a thinly-occupied sector, they are to pave the way for the infantry breakthrough by pushing ruthlessly through and turning the enemy's flank. At sectors of major combat where strong enemy artillery fire is to be expected the use of tanks will only be possible in extremely favourable circumstances. b. 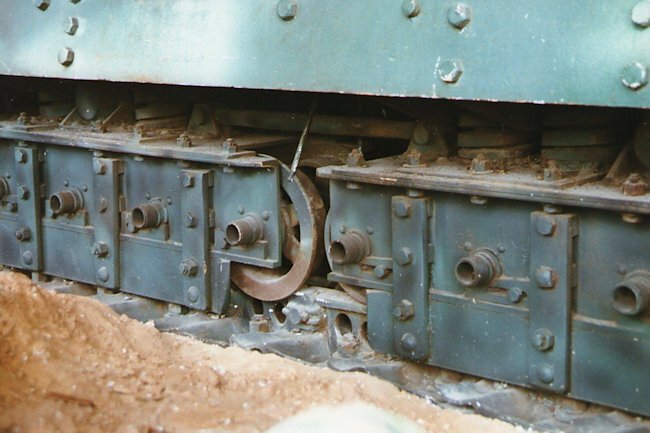 All movement by night only, covered assembly in dense forests, at farm yards, etc., or under camouflage, obscuring the track marks before dawn with rakes and harrows, avoiding all unnecessary noise while on the move, i.e., exhaust valves, gaskets not tight, unlocking compressor taps when inspecting the engines, covering all unavoidable noises by artillery fire or machine guns. 5. Exact terrain reconnaissance by the CO of the detachment and thorough briefing of the vehicle commanders on the terrain has to precede each action. Inconspicuous behaviour to cause no attention. Doubts on practicality of action such as unsuitable terrain will be announced by the CO to the local command as soon as possible. 6. Lanes of advance have to be ordered and marked avoiding surfaced roads. All obstacles on these lanes have to be cleared away. 7. Preparatory exercises of the infantry assigned for the attack with the tanks have to be executed far behind the lines in order not to jeopardise concealment. Deployment to combat formation, Distance between tanks. Co-operation and communication with infantry. 9. Permanent close contact with the infantry is of the highest importance. The tank may be able to achieve a break-in, but it is not able to hold the ground. For this the infantry is needed and for this reason it must follow closely behind the tanks. During the advance, the place of the tanks depends on the type of mission. In most cases the tanks will be close behind the first wave of assault troops. On difficult or heavily shelled terrain, sections of engineers have to be assigned to them in order to overcome particularly difficult spots or to mark tank traps. In order not to disrupt the lanes of advance unnecessarily, it may be appropriate to omit the tank lanes during the preparatory shelling. The distance between the vehicles depends on the terrain giving due regard to cover against enemy shelling. By skilful employment of smoke bombs and smoke shells, the tanks have to be concealed from the enemy for as long as possible, even on the advance. 11. After the mission has been accomplished the tanks drive back to cover in order to avoid destruction by unnecessary exposure to the artillery If this is impossible during daylight, the vehicles have to be hidden in folds of the ground and be camouflaged with branches and soil. The tanks try to avoid heavy enemy shelling under cover of smoke bombs; also, playing 'dead' may be temporarily useful. Immobilised vehicles have to be thoroughly demolished if their recovery is impossible. Weapons and serviceable components are to be removed. Crews of immobilised tanks join in the infantry action. According to the situation, they either join the advance as an assault party or they form strong-points with their machine guns in order to repulse enemy counter attacks. Staying close to the tank is to be avoided as it will draw enemy fire. 12. The tasks of the tanks in defensive action are laid down under paragraph 3. Here also total concealment until commitment is of special importance. The conduct of counter attacks is regulated according to paragraph 9. 13. The Commanding Officer of the detachment takes part in the attack in one of the tanks and directs the movement of the detachment by signals. In defence, he chooses his place in such a way that he can survey the course of the action and direct his vehicles by signals. Independent action of the tank commanders will often be necessary in both cases because of the difficulties of communication. 14. Communication between vehicles and CO between vehicles and infantry and between vehicles takes place according to special orders by light signal, coloured signal discs and carrier pigeons, and if necessary by special liaison teams of the assault infantry. 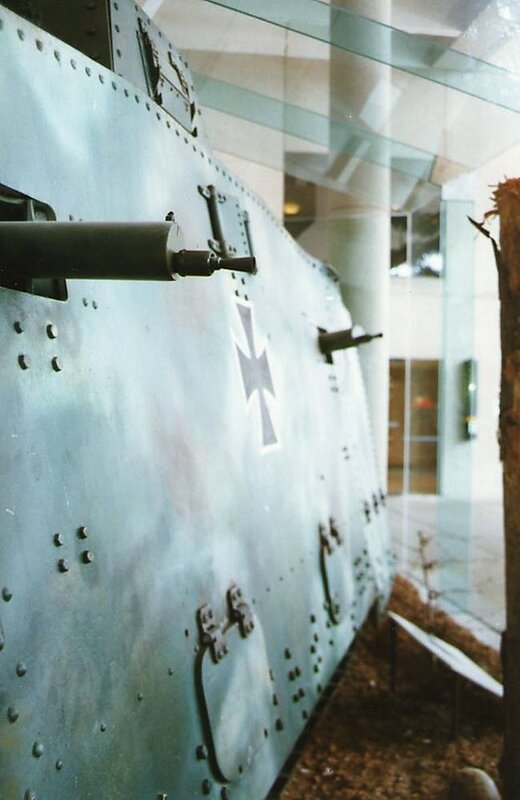 Here are some photographs taken by Doug Hone of the surviving WW1 German Sturmpanzerwagen A7V tank at the Queensland Museum in Brisbane, Australia before the flood and its move to the Anzac Hall at the Australian War Memorial in Canberra. 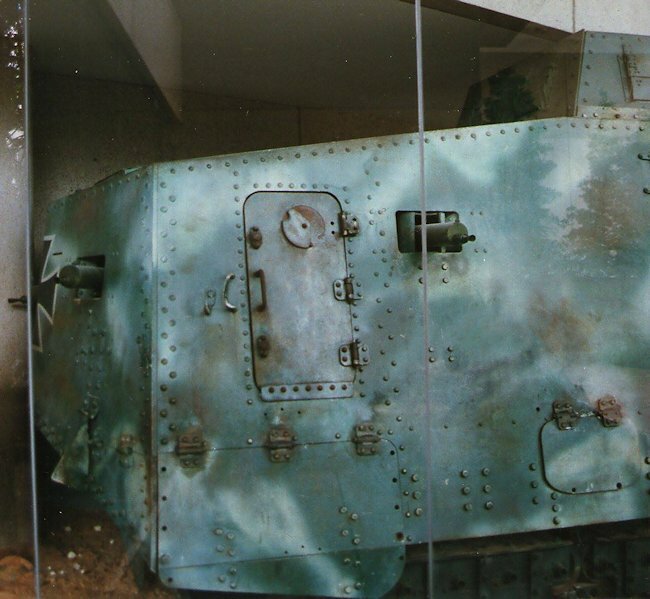 This A7V was German-designed, and number 506 was part of the first German army tank detachment. Like most of the tanks in this unit, it bore a white skull-and-crossbones on the front armour plating beneath the main gun. 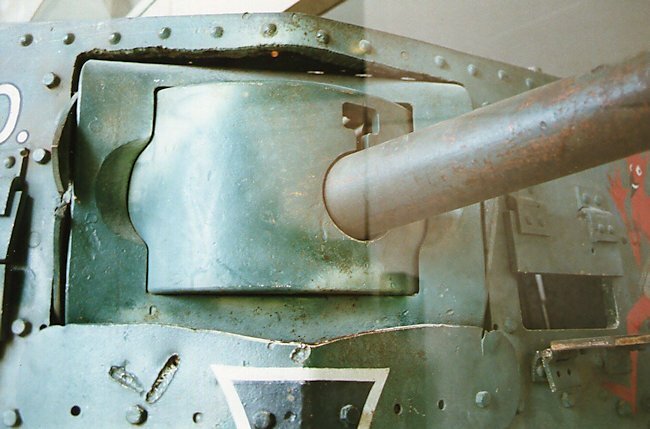 Most of the German tanks were given names like 'Siegfried', 'Wotan', and 'Gretchen'. Their crews often added their own decoration, painting over the standard field grey finish or the previous crew’s decoration. 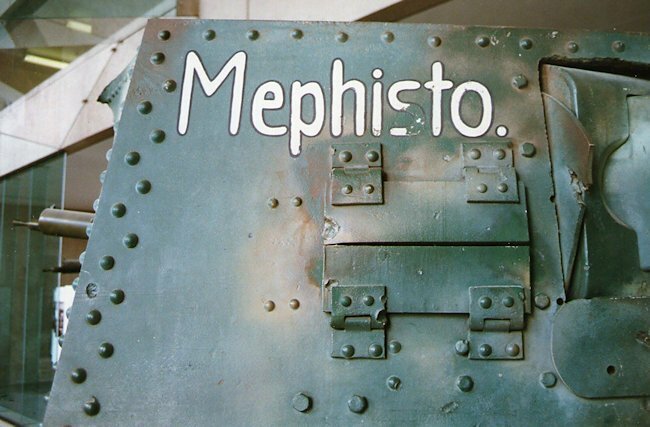 Mephisto fought its first ever battle at St Quentin on 21 March 1918. Its second operation came at Villers-Bretonneux on 24 April 1918. In that attack it became stranded in a shell crater, and was eventually recovered from the battlefield by men of the AIF and their British comrades. It was moved to the training ground of the British 5th Brigade, Tank Corps, at Vaux-en-Amiénois and later to Poulainville (near the city of Amiens) until early October 1918. 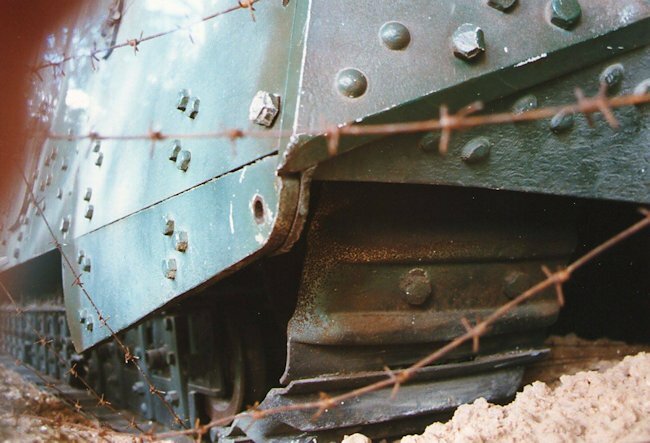 During this time countless allied soldiers left their marks on the vehicle, and the armour became littered with names, quotes, drawings, and paintings. 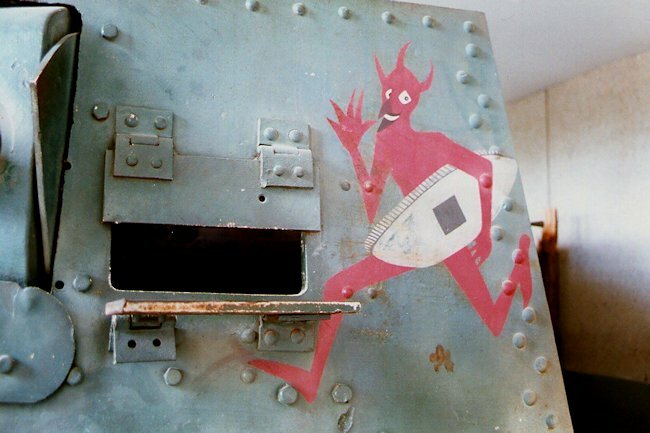 The most prominent piece of art applied was a counterpart to the German demon: a large, crown-wearing British lion, its right paw resting on an A7V tank. 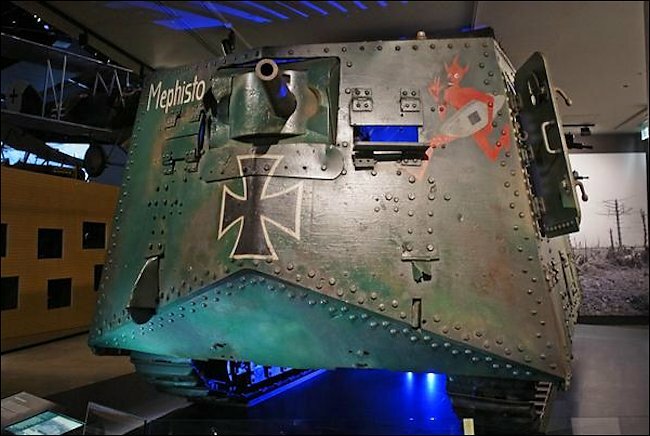 Brought to Australia in 1919 as a war trophy, Mephisto has been housed at the Queensland Museum in Brisbane ever since. The machine was so heavy that a special crane had to be erected on the wharf to unload it. On its way to the museum the tank’s caterpillar tracks gouged the road, and its sides damaged several buildings as it was dragged around corners. 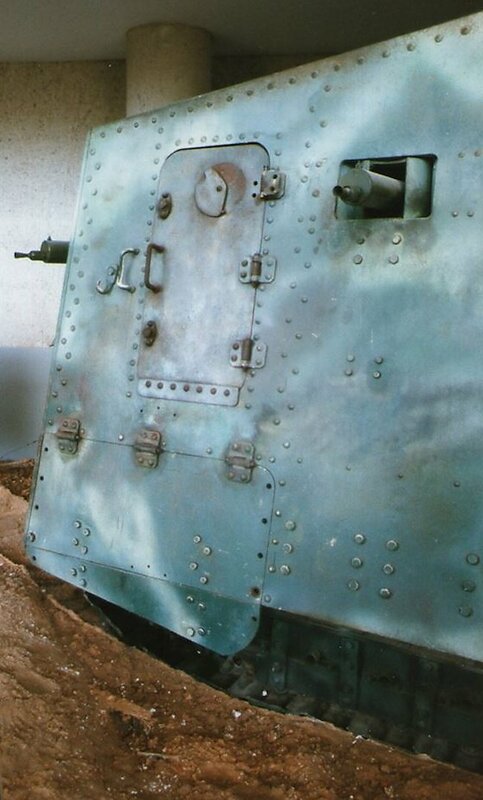 It was initially placed in the grounds of the museum, and the inscriptions and paintings adorning its sides were badly weathered and faded by exposure to the elements, while parts of the tank were pried off by members of the public. Mephisto’s current paint scheme was applied by the Queensland Museum in 1988. This 57mm Maxim-Nordfelt QF fortress gun in the photograph below, was the main weapon of a First World War German A7V Sturmpanzerwagen tank nicknamed Schnuck. 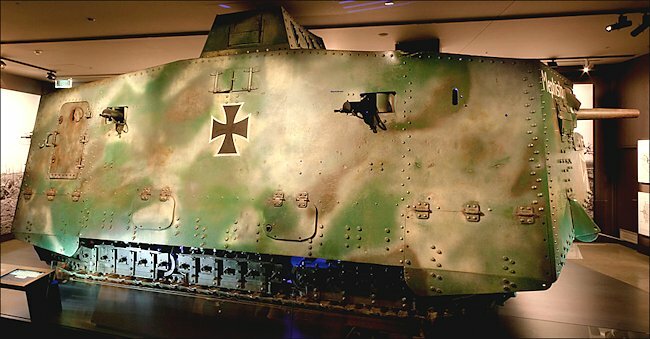 On 24 April 1918, Schnuck was one of 15 German tanks which assaulted British forces defending the French city of Amiens. Three of them engaged British tanks in the first tank versus tank battle in history. 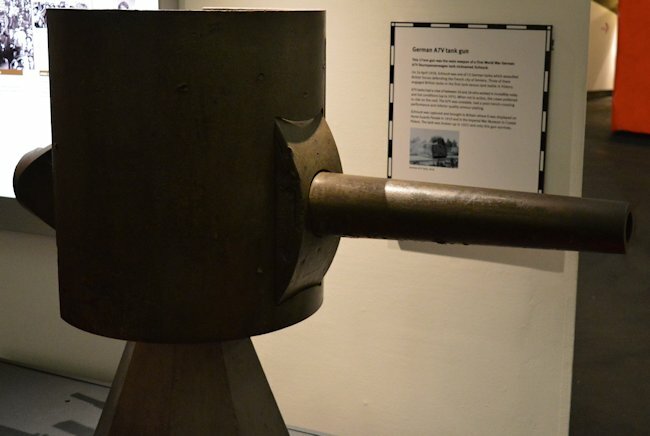 Schnuck was captured and brought to Britain where it was displayed on Horse Guards Parade in 1919 and in the Imperial War Museum in Crystal Palace. The tank was broken up in 1921 and only this gun survives. It is now on display at the Imperial War Museum of the North in Manchester.